I realise I haven’t reviewed an awful lot of BenRiach here on Malt. No particular reason – it’s a decent distillery, and produces some interesting whiskies. So I was particularly interested in their two new releases, not least of all as they come at a pretty decent age. I’m finding with most Scotch whisky at the moment, there’s not a lot of character or deep flavours around as much as there once was, so I’m hoping that with these two releases, one being 21 years old, the other 30 years old, we might have some fun. 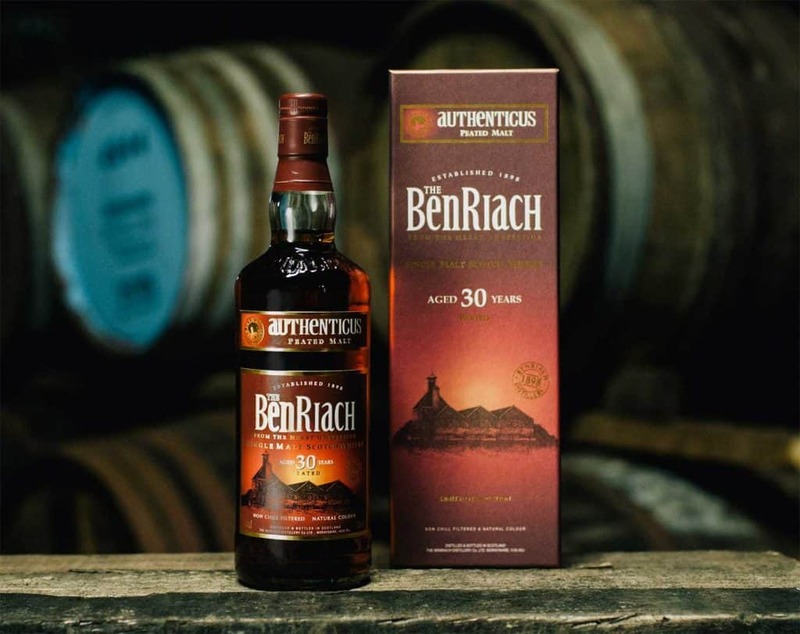 BenRiach Authenticus 30 Year Old is the headline act. It’s the oldest edition on the Authenticus range, which is rather unusual up in Speyside as it’s peated. 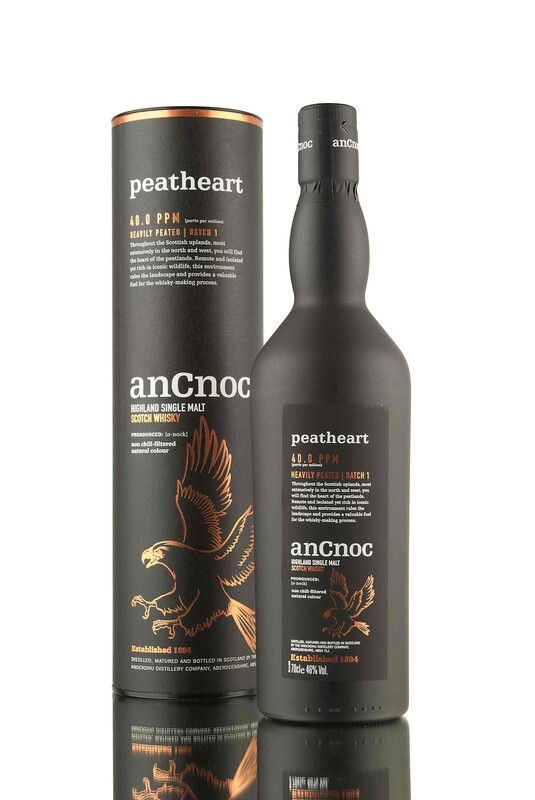 In the press gumph that comes out with it, we’re told that the peat comes from the North-East of Scotland, so will be quite different to your Islay peated whiskies for example. 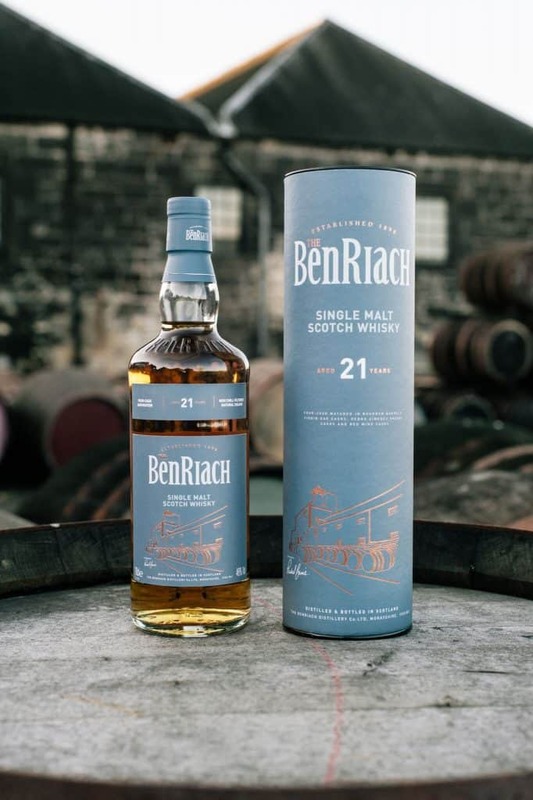 Also, Benriach – which owns peated stock dating back to 1975 – was “the first Speyside distillery to release a peated expression since WW2”, and that was back in 2004. So in short, it’s an old peated Speysider, and there aren’t many of those around. The second whisky is a 21 year old release, the Four Cask Matured. It’s lived in, funnily enough, four casks: bourbon casks – one presumes for most of its life – before being decanted into virgin oak, Pedro Ximénez and red wine casks. I’m not quite sure on the vatting here – this clearly isn’t whisky that has lived independently for two decades in each of those cask types, because as we see the spirit is quite pale – and virgin oak especially should have seen to that. So one can only presume that there was some finishing involved – where it had gone from bourbon (for a brief period through each of the other woods). As an aside, one has to ask what’s going on when virgin oak is being deployed for so old a whisky. I’ve found that for Bladnoch the result was very poor – as if the powerful virgin wood was being used to mask flaws, or just to kick start whisky that had lived until now in really poor casks. And there’s a lot of this about in Scotland – where whisky, during an era where producers cared little about quality, would put average spirit into casks that had been used several times over, meaning there had been very little in the way of maturation, and which leads to the really poor whisky we see today, especially from independent producers. But we retain an open mind here at Malt, and let’s get to the whiskies. Both are bottled at 46% ABV – and are non-chill filtered, although that doesn’t rule out the fact that some filtration using other methods still takes place. The Authenticus 30 Year Old costs a good £400, whilst the Four Cask Matured 21 Year Old will set you back about £125. On the nose: oh now that’s lovely. Three core areas: the peat, a smouldering, not too sweet, not too ashy kind. Then red and black fruits, cranberries, blackberries, raspberries. Then a wonderful savoury, sun-dried tomato side. If there’s any sweetness then it’s a gentle, muscovado sugar kind. Really heady flavours all meshing together to create something very interesting. In the mouth: pleasant texture, dry and slightly cloying. The savoury and sweet balance is spot on. The peat is more mellow now, and gives way to Assam tea, honey and bitter dark chocolate. Blackberries, elderberries and a note of balsamic vinegar. There isn’t a sort of heady, sherried edge to this; instead, it does become about the chocolate and pouring honey, and has a game meat edge. Not quite as seductive as the nose promised, but still really delicious stuff. On the nose: huge amounts of vanilla at first, almost overwhelmingly so. Orange marmalade. Lemon curd. Slightly fresh strawberry notes, before becoming quite sweet again with floral honey and light syrup. Grassy notes underneath it all. Warming ginger notes with raspberries and perhaps blackcurrant juice (the undiluted stuff) beginning to show. It really is a sweet whisky so far. In the mouth: certainly doesn’t feel 21 years of age, this one. Intensely bright sweet citrus notes, lemonade, lime marmalade. There’s a vegetative core with mineral notes, green tea and honey. Red fruits do appear, and it becomes tart, with some sharp grapefruit-like acidity. Haribo Sours. Some ginger and cloves on the finish. £125 for the BenRiach Four Cask is far too much in my opinion. The quality of the whisky does not justify the price. It ends up being a sugar bomb, and consequently is neither classy nor all that interesting. The 30 year old Authenticus, however, is a delightful thing, with style and substance. Peated fans will enjoy something different on the flavour spectrum here too – this isn’t like anything from Islay, and differences are to be celebrated in life. If nothing else, I do like the packaging on the 21 year old but can’t drink packaging.